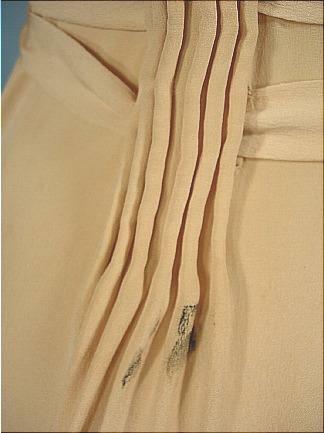 #5618 - c. 1949 AUTHENTIC Screen-Worn Dressing Gown Worn by KATHARINE HEPBURN in "ADAM'S RIB"!! Designed by WALTER PLUNKETT! RARELY SEEN on the OPEN MARKET outside of the major auction houses! 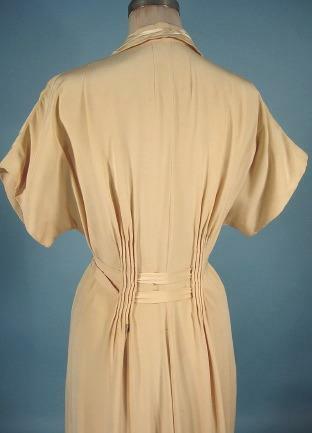 Authentic Katharine Hepburn gown worn in "Adam's Rib" co-starring Spencer Tracy. Designed by the legendary Walter Plunkett (also costume designer for "Gone with the Wind"!)... as Mr. Plunkett is specifically listed as costume designer for Katharine Hepburn on this movie! GUARANTEED AUTHENTIC (I'm always skeptical of COA's, so I make absolutely sure everything is correct! So should you! :) as it comes with a copy of the MGM production number list which shows "Adam's Rib" as production number 1457. And as you can see, this sewn on label has the matching production number, as well as the "K. Hepburn" name. And to top it off, you can watch the movie "Adam's Rib" on youtube. 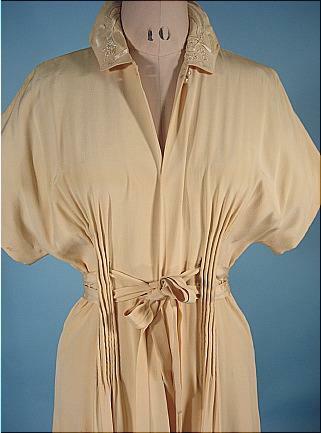 Just fast forward to the first scene (about 5:25 in) with Hepburn and Tracy, and you will see this robe! 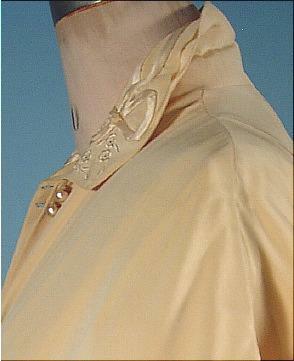 This dressing gown is a weighty crepe of a light goldenrod color (more golden than it appears in photos). Double tie at waistband. 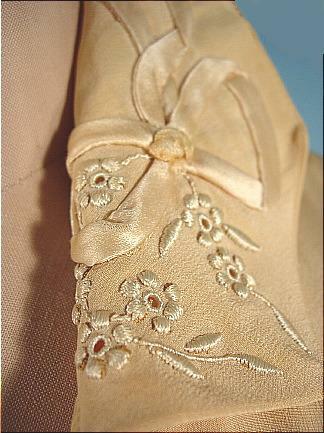 Embroidered Collar. Bat short sleeves. Gathered detail at waist to show off the body to its best advantage. The material of the gown is still very strong, and it's in great condition other than the minor spots here and there (some shown in photos) and more spots and dirt at hemline. Rarely are Hollywood memorabilia pieces in pristine condition. You just have to forgive that in exchange for the history. One other thing to mention is that the front seam is unsewn, so will just need a quick sewing machine stitching up (I don't have a machine, so I will leave this "as is" for the next owner). 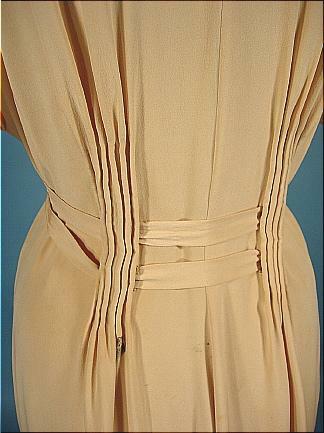 Measures: 60" long from shoulder to hem, and about 35/36" bust, 26/27" waist (size isn't exact due to ties).